Hello everyone: I'm here with another Christmas card to add to my stash, you can never have enough Holiday cards to send out, right? I will link it to a few challenges at the end of this post. 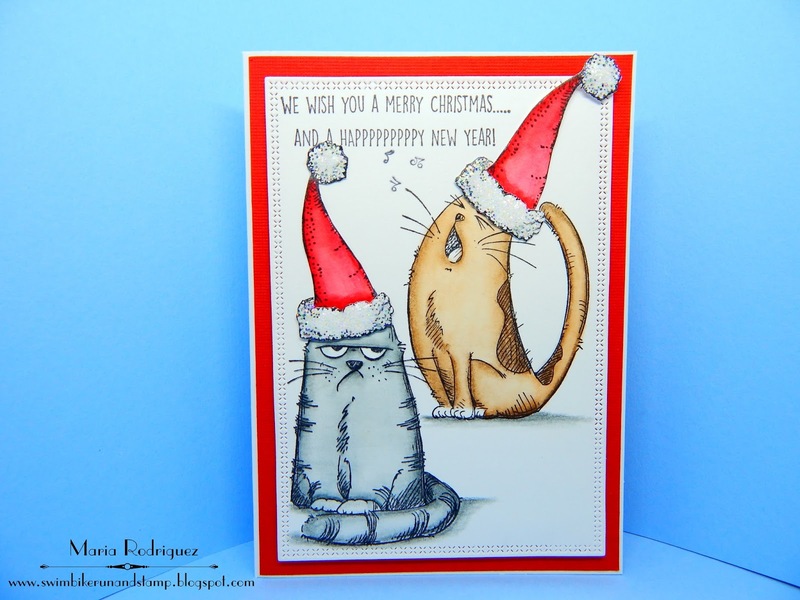 I absolutely love these cats from the Katzelkraft stamp set called Les Chats Russes, you can create cards for any occasion, the expressions on their faces are just fabulous. I stamped these two cats on a piece of Strathmore watercolor paper with Stazon black ink and colored them with SU markers and then, Prismacolor pencils for shadows and highlights. I give the images an even watercolor wash and when it's dry, I go in with the pencils. 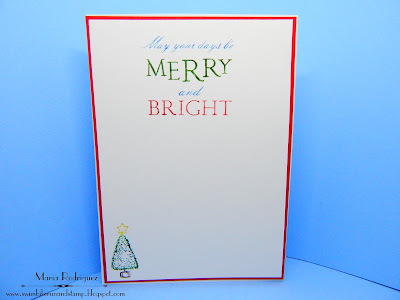 I stamped the Christmas hats on a couple of watercolor scraps and colored them the same way. The hats are from a Power Poppy set called Merry Littles, I just had to cut them a bit so they will fit the front panel. The sentiment and the little music notes are from a Stamping Bella set called "Caroling Chicks", I just snipped the notes to be able to use them separate from the main image. I keep them safely stored in a mini ziplock bag with the stamp set. I always finish the inside of my card, this saves me time when I need to mail them. 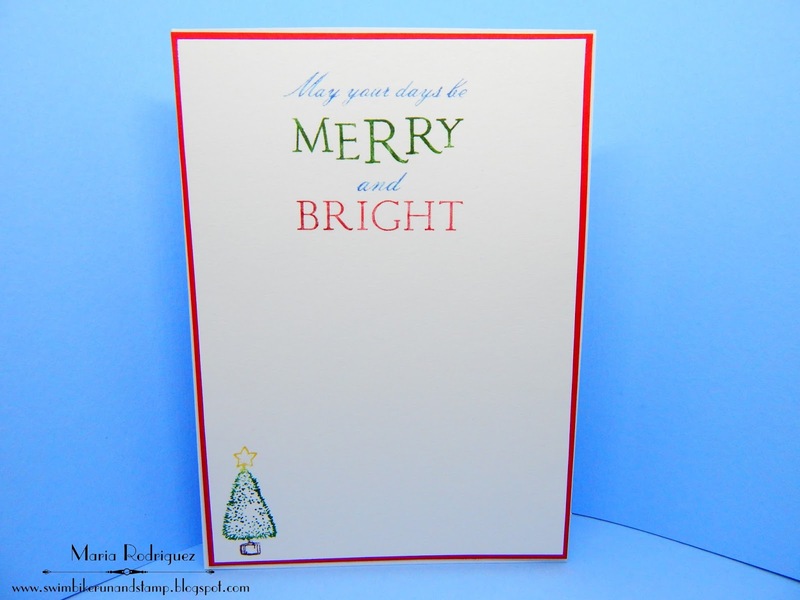 The sentiment is from an old Flourishes set called "Naturally Merry" and the little Christmas Tree from "Merry Littles". 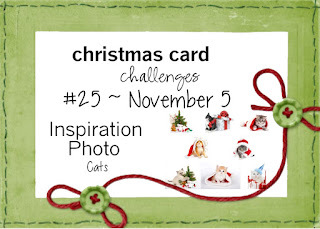 Christmas Card Challenges Have cats on your card. 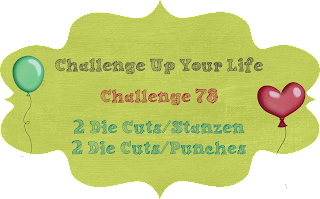 Challenge Up Your Life "Use die cuts or punches" I used the cross stitch die. Inspired by All the Little Things I took the colors red, black and white. 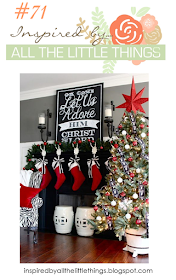 Crafty Friends Challenge #70 "Christmas"
Jingle Belles "Not a CREATURE was Stirring"
CUTE !!!! How funny ! I can almost hear that kitty because you did his mouth just perfect meowing that Xmas song !! As a cat lover . . . all I can say is MEOW! 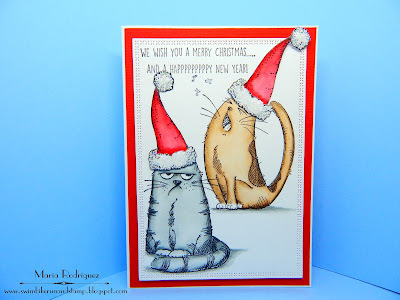 How do you not love a pair of singing cats in glittery Santa Hats ... just fabulous ... so glad you joined our *creature feature* at jingle belles. Maria these two are the exact color of my two cats - sadly no longer with us! But OH if you could have heard Mr. Hobbes SING all the way to the vet - while Calvin had this exact look on his face! HA! I LOve this for so many reasons!